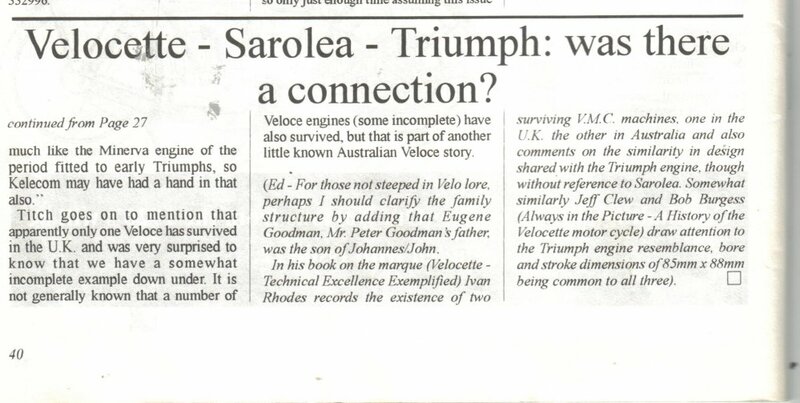 The following article (see thumbnails), published in "Old Bike" 21, touches upon the interesting point of a possible connection between Sarolea, Triumph and Veloce. At the end of the article the focus is on early 1900s engines, but I think the point is the similarity of engines of around 1913. 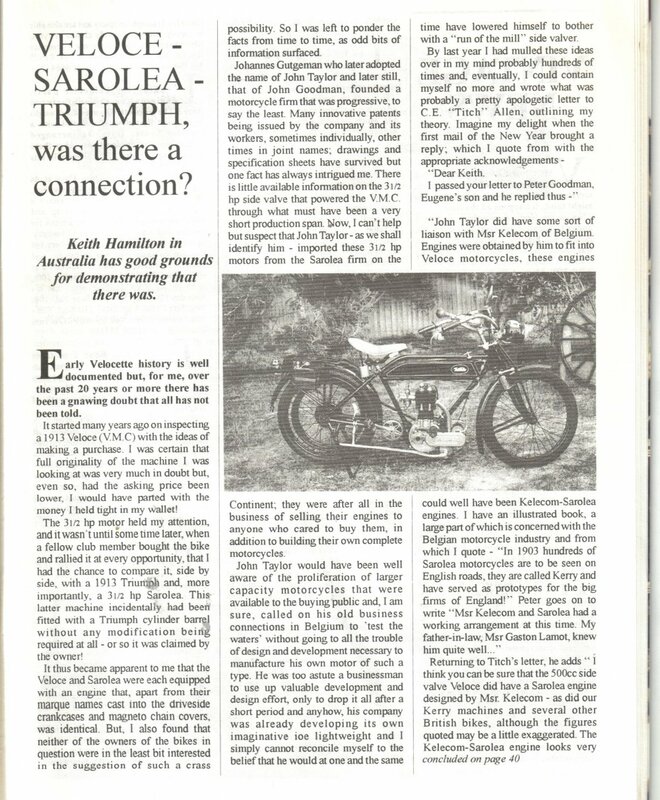 I've also heard from owners about the stunning interchangeability of veteran Triumph and veteran Sarolea parts. 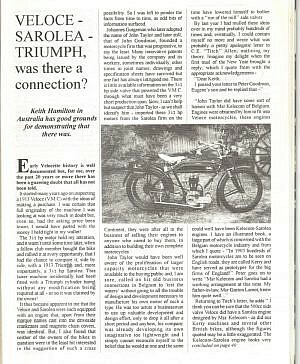 I think Sarolea introduced the "Triumph-lookalike" engine around 1913. 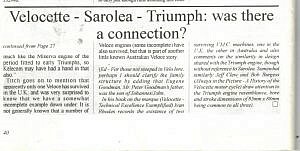 Couldn't it just have been that Sarolea copied the Triumph design? Possibly there were no international laws at the time to forbid such actions. After all there were several factories that used engines very much like the Triumph engine, e.g. Raglan. Any views from anyone out there?